Install VRTV app from Google Play Store on your device. Disable NFC on your Android Phone. In your Android Settings, disable NFC - this can be found under "More" in Wireless & Networks settings. 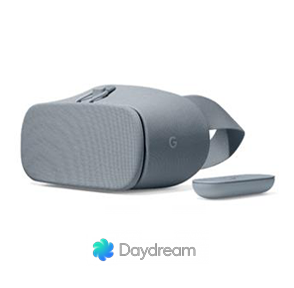 It will prevent Daydream environment from launching once you put your device in the headset. Open your VRTV App and browse to the VR folder where the video is stored. Adust settings and Play. Set the "Screen" to Dome 180° for CzechVR videos. Set the "Video Type" to 3D SBS and "Projection" to Normal. Please make sure that VR Player is selected for head tracking support. Click on the "Play" button. Center the orientation as much as you can and insert your device inside. If you experience issues while trying to download and/or view Czech VR content, please contact support.